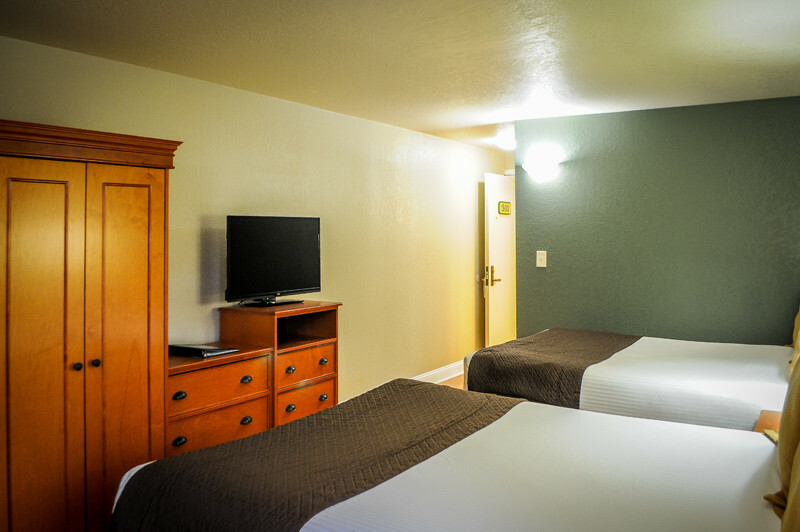 These rooms are furnished with two luxury queen sized beds, a pedestal table, two swivel chairs, and includes a full bath with a shower and bathtub. Room is complete with an in-room coffee maker, refrigerator/freezer combo and microwave. These room types are located on the tree side or the parking lot side of our facility. 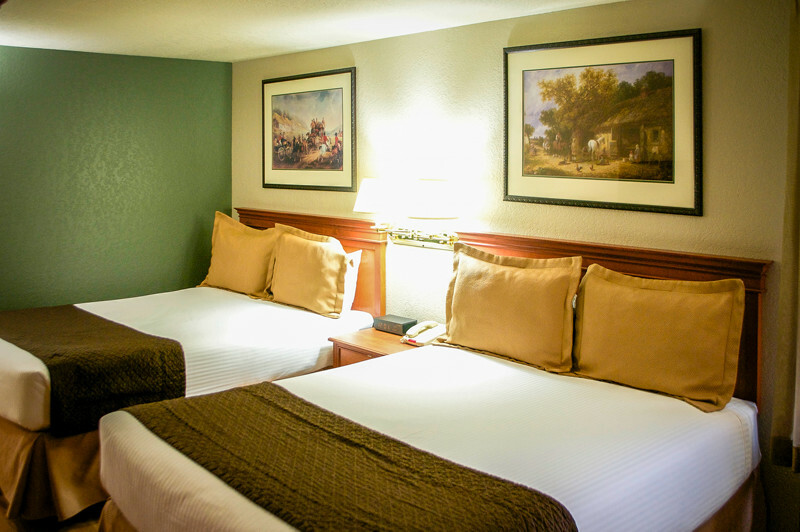 Sleep four comfortably in these two queen beds. 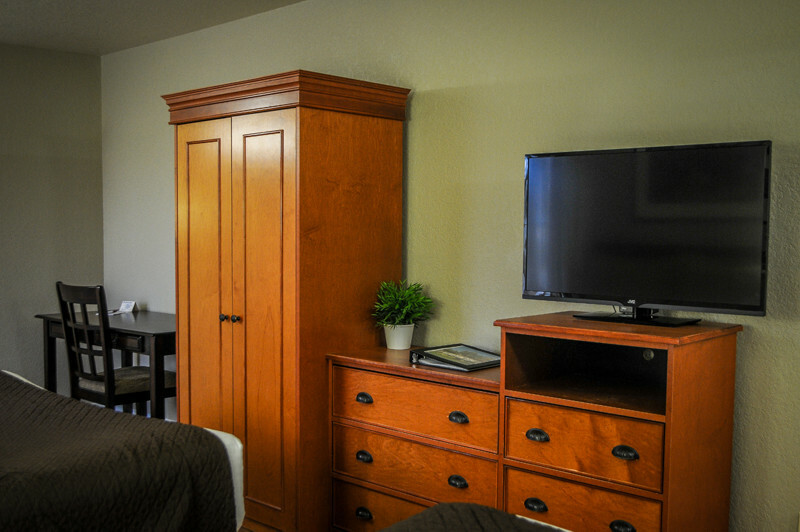 Every one of our two queen hotel rooms has a large flat screen television. 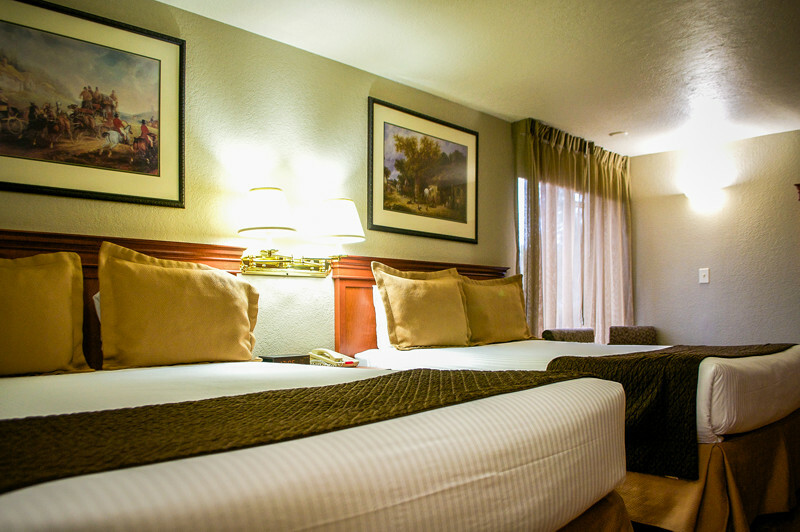 Enjoy two queen sized beds in this cozy, and well lit room.